Enjoy the best inspirational, motivational, positive, funny and famous quotes by A. Guignon. Use words and picture quotations to push forward and inspire you keep going in life! 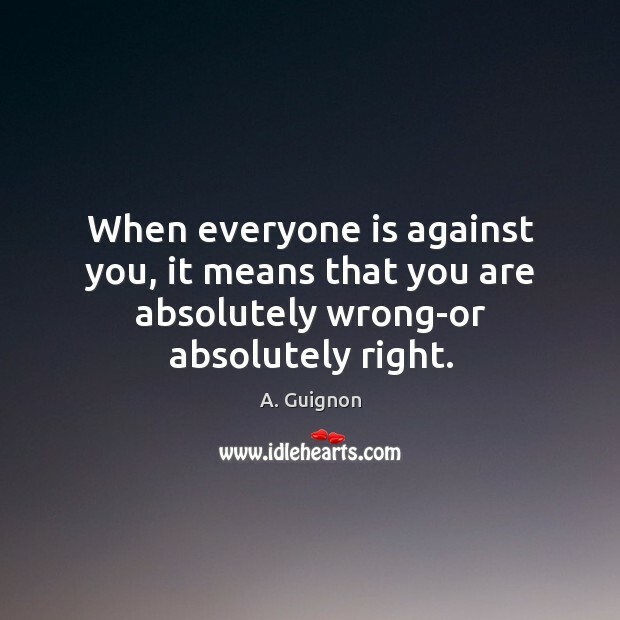 When everyone is against you, it means that you are absolutely wrong-or absolutely right. 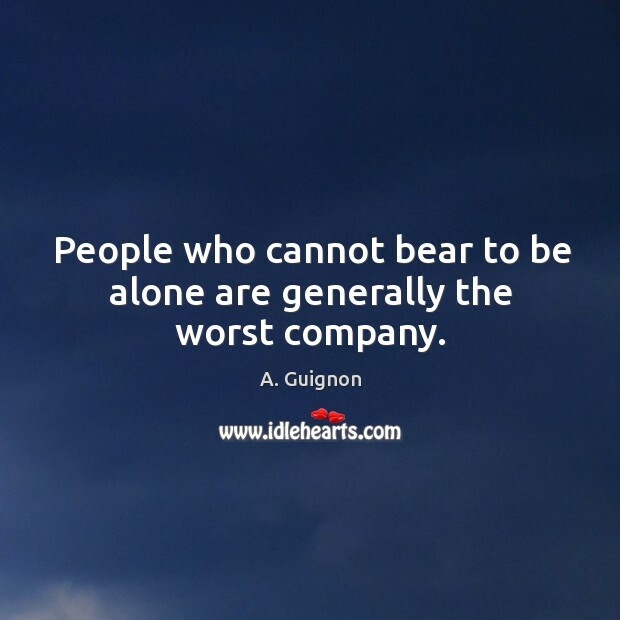 People who cannot bear to be alone are generally the worst company.